How is plywood made? Why does it vary? Where does it comes from? In this post we peel back the layers of our favourite sheet material. Following the completion of the Plywood exhibition at the V&A this month, we decided to take another look at this incredible material: how it’s made, the different grades available, unique features and why it varies in look depending on where you are. 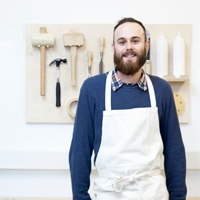 We’re building a truly global platform for local making, one that extends beyond empowering local makers to also utilising local materials - starting with ply. 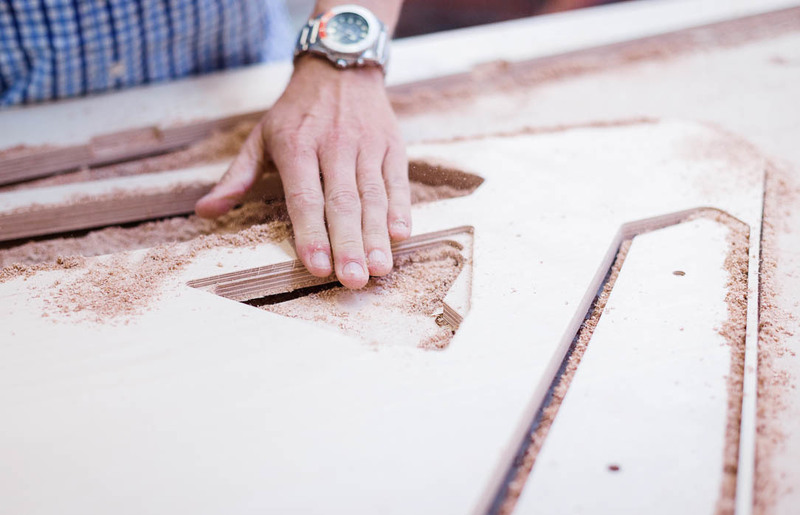 Plywood is made from different wood in different locations, meaning the end result can vary - that’s half the fun; having furniture made of materials that reflect your local environment. But before we dive into that, let’s start at the beginning. Plywood is a sheet material manufactured from thin layers or “plies” of wood veneer, usually 1.4mm thick, that are created by rotating a log against a blade - almost like peeling a vegetable! The layers are then glued together with the grain of each layer rotated up to 90 degrees. 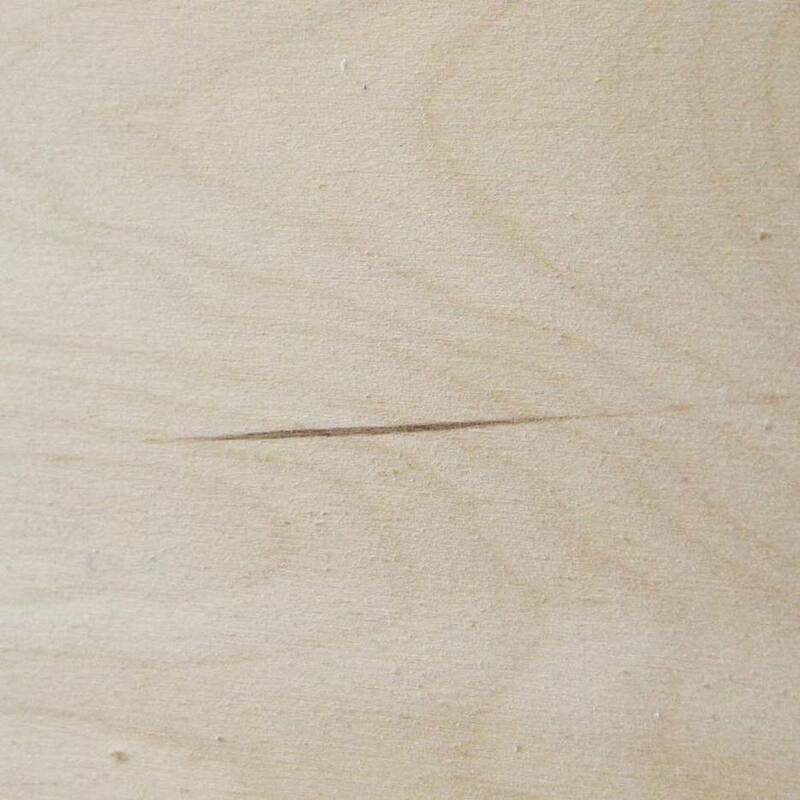 This alternation of the grain is called ‘cross-graining’ and has several important benefits: it reduces the tendency of wood to split when nailed in at the edges; it reduces expansion and shrinkage, providing improved dimensional stability; and it makes the strength of the panel consistent in all directions. For a sheet of plywood, an odd number of plies is usually used so that the sheet is balanced and warping is reduced. 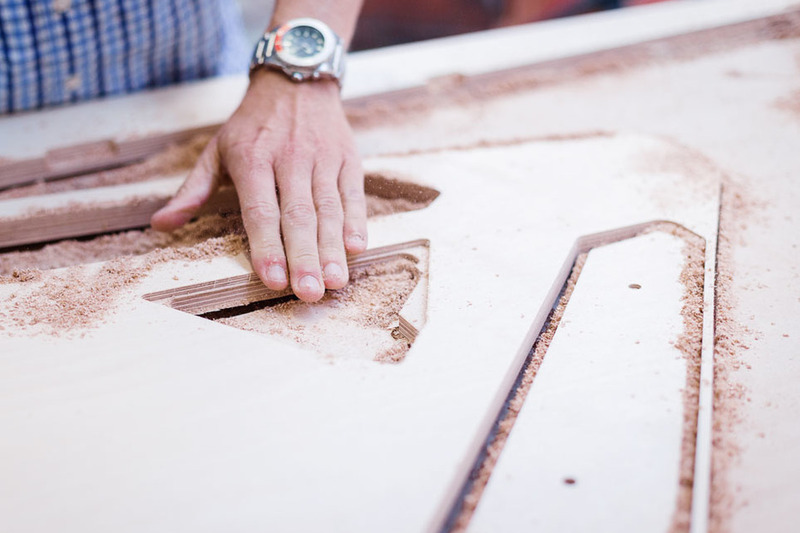 Because plywood is bonded with grains running against one another and with an odd number of composite parts, it’s very hard to bend it perpendicular to the grain direction of the surface ply - so it’s strong and durable! 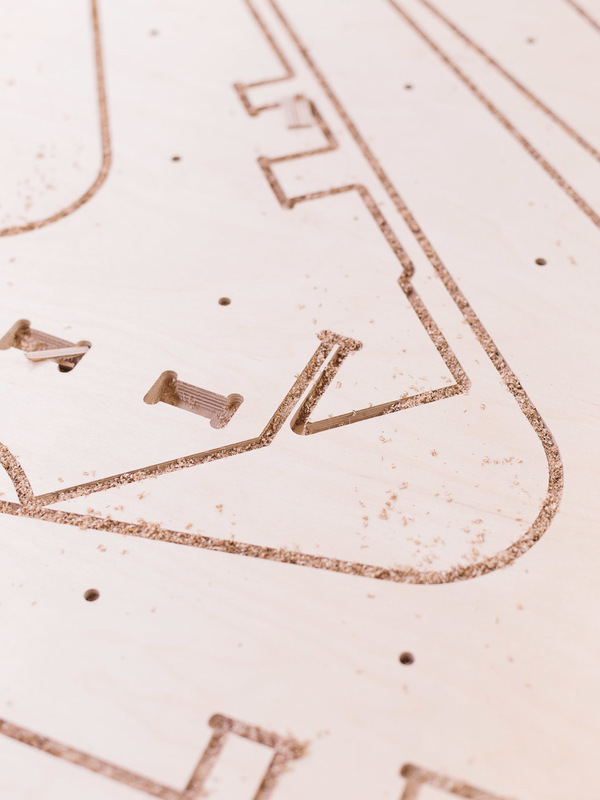 At Opendesk we use FSC approved birch plywood that mainly comes from Latvia, Russia or Scandinavian countries. Birch is an abundant, relatively fast grown and temperate species. It is grown in certified and well managed plantations, where biodiversity and sustainability are protected during the growth, harvesting and replanting cycle. 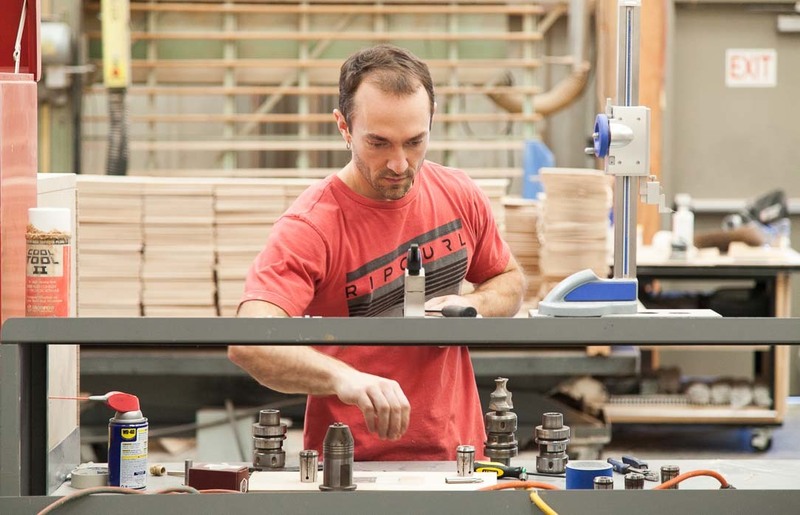 Depending on the local climate, different wood is sourced and forested to produce plywood. Usually it’s the tall, straight growing trees like Birch, Pine or Spruce that are logged for the ‘ply’ process. 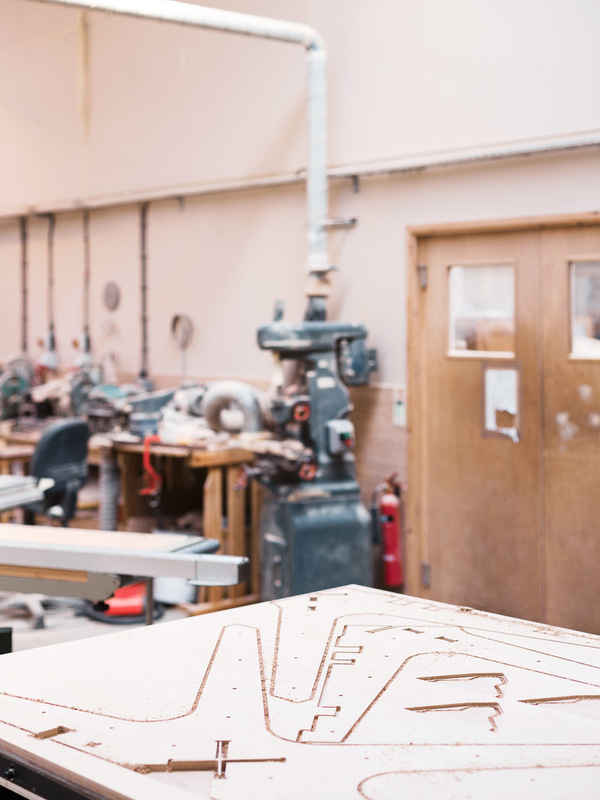 Like many materials, plywood is used near the source to cut down on logistics and promote sustainability, which also means that plywood takes on certain visual features depending on where you are. 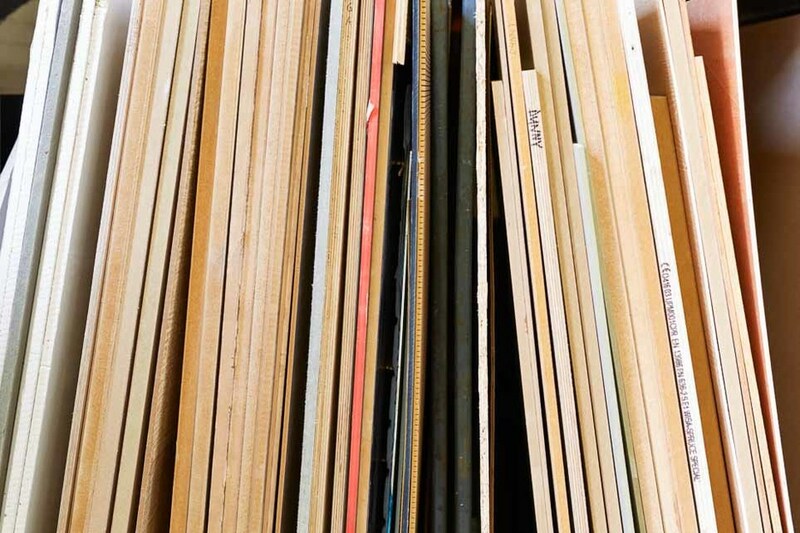 Where does plywood come from and how does it differ? As mentioned, in Europe plywood generally comes from Russia, Latvia or Scandinavia. This is the Birch that our local makers use to craft Opendesk furniture here in London. It’s very strong, has a smooth pale appearance and often doesn’t have intricate grain patterns. In North America, plywood is commonly known as Baltic Birch as it’s from the Baltic Sea region, but true Baltic Birch is only available in 5’x5’ sheets. There is also domestic birch in 8’x4’, however the quality is generally lower. You can get your hands on Russian and Chinese Birch in 8’x4’, but it’s less available in the current political climate. It’s worth noting that thicknesses are still done in inches in North America, so ½”, ¾” and 1”. In South America plywood has different kinds of qualities and types, which vary a lot from country to country. 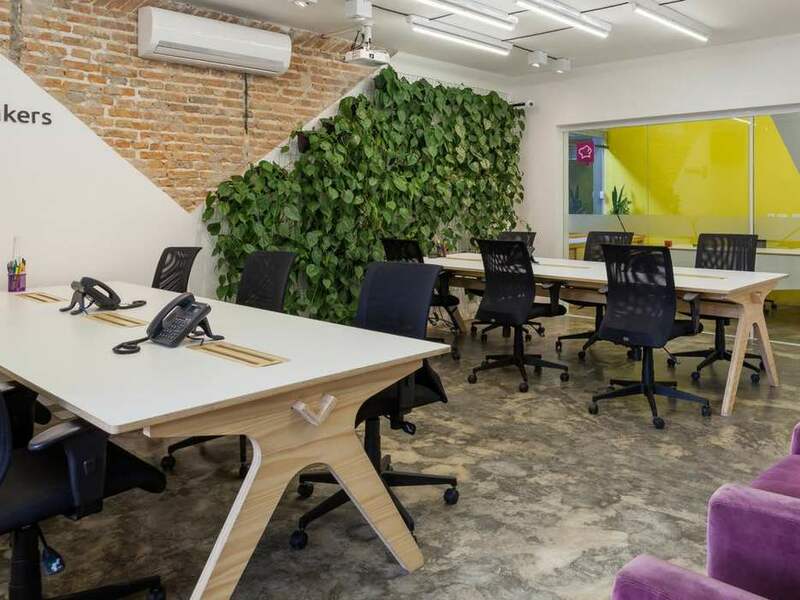 In Brazil, makers have tested most types and have found that Naval Pine Plywood works best for Opendesk products. Another variation is Radiata Pine that is straight grained with a medium, even texture. It’s widely available in Australia and New Zealand, and also in Central and South America - particularly Chile. It’s good quality, has wide growth rings and is generally knot free. Plywood comes in different qualities and this is identified by a grading system. Both internal layers and external ‘face’ layers are graded. When being processed at the factory graders classify plies based on their appearance and will look for knots, streaks, blemishes and colouring consistency, patterns, and characteristics. Birch Faced Plywood is graded according to the two outside veneers. The grades indicate the quality of the veneer according to the number and type of defects allowed on each face. 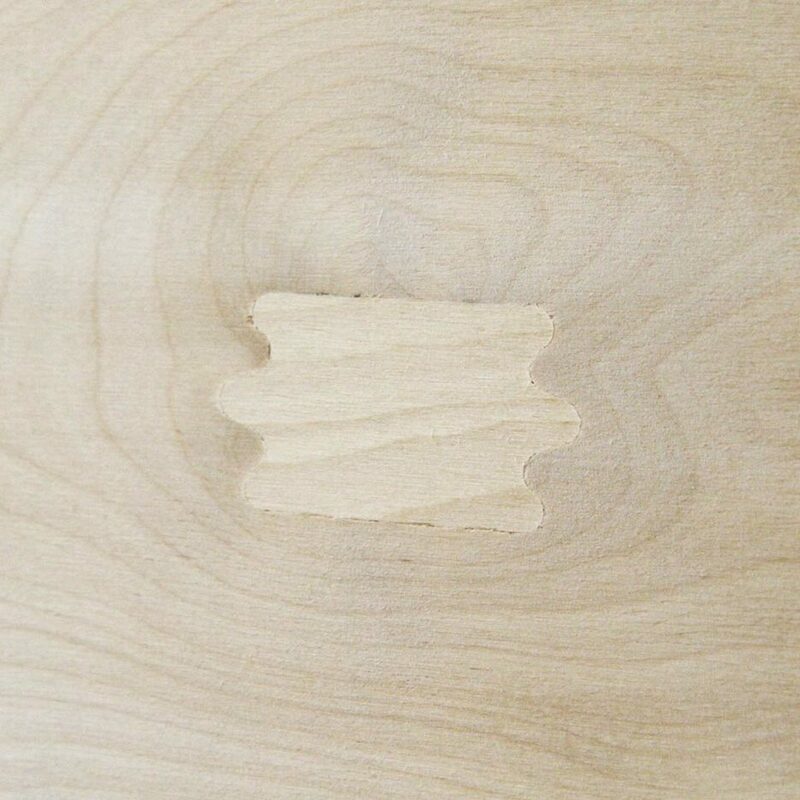 The grades are denoted by ‘grade/grade’, describing the grade of the two outside veneers. Patches or Plugs: Used to repair otherwise good quality sheets, patches can be oval or irregular as above and are used to repair defects such as open knots. Mineral Streaks: Natural marks where the tree has absorbed minerals from the soil during its growth. can come in varying sizes and colours. Pin Knots: Small knots generally filled and under the size of a small coin. B/BB or S/BB This is the highest grade typically available. The B face should be free of any defects excluding one or two minor pin knots with a uniform colour. The BB face allows for a few small patches and some light mineral streaks. This is commonly available in 2440mmx1220mm sizing but can be harder to get at larger sizes. BB/BB This is the general standard for industry. Both faces allow for a few discrete patches, some mineral streaks and filled knots. Depending on the batch BB/BB can vary significantly with some being closer to B faces and others being closer to CP faces. BB/BB is widely available in all sizes. A/B The standard premium option. The A face allows for 6 patches, no more than a few synthetic repairs, and small filler repairs. The B face is similar but allows for more repairs. B/B Allows for 6 patches, 8 synthetic repairs and small filler repairs to knots on both faces. 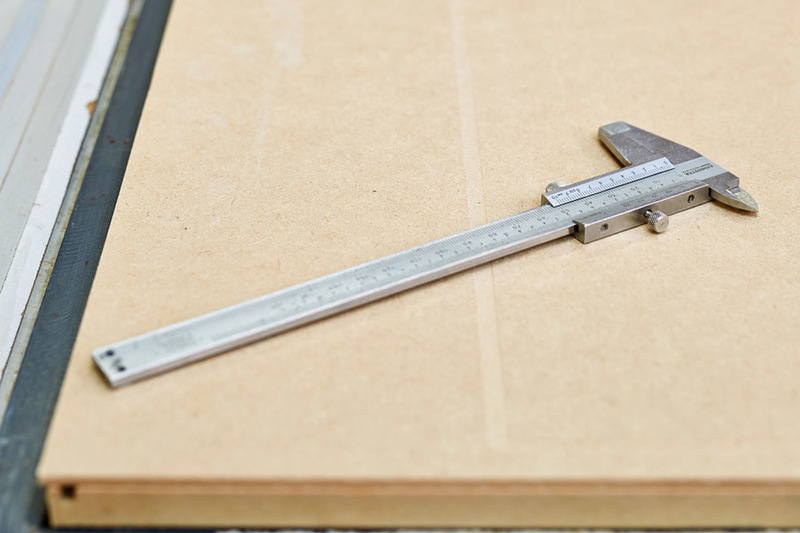 What sizes and thicknesses does plywood come in? In general, all Opendesk products are designed to fit neatly onto 2440x1220mm (8’x4’) sheets. Most products are designed and manufactured with 18mm material in mind, however, we now also make products in 12mm and 24mm. Our model to date is heavily reliant on plywood as a readily available material. 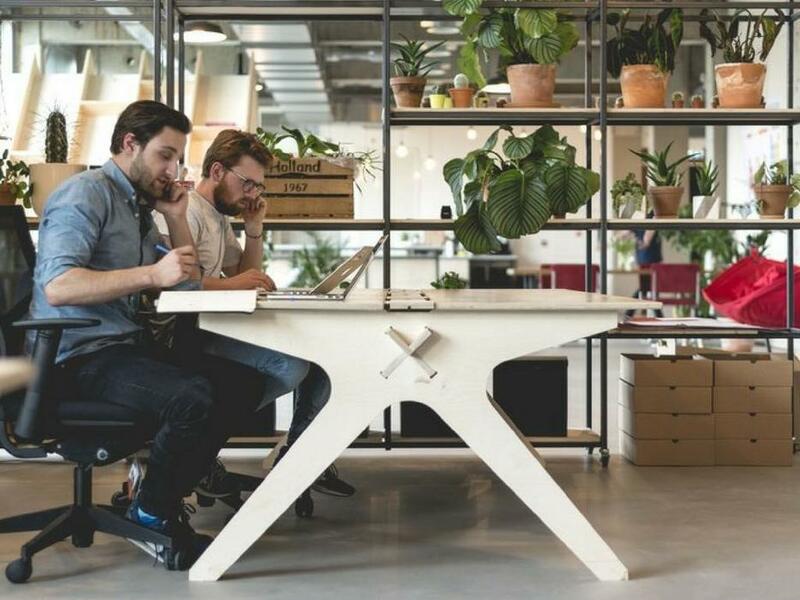 We love seeing our community making Opendesk designs all around the world, each with their own unique qualities. We’re also excited to investigate other sheet materials in the future, such as plastic or metal, that are locally produced. Stay tuned! 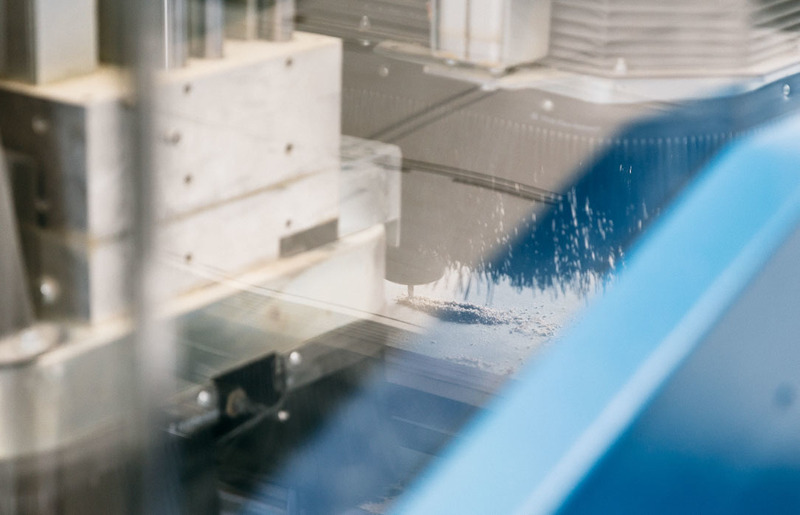 Our illustrated guide to CNC machining featuring some of the most common cut types. Rob’s journey from travelling engineer to owner of successful San Francisco based workshop- Lucid Machine Art.